There is nothing quite like a cleansing green smoothie to get you off on the right foot for the New Year. If you have a high speed blender like a Ninja or a Vitamix, this will process silky smooth. If you don’t, pass the smoothie through a strainer for a silky texture. 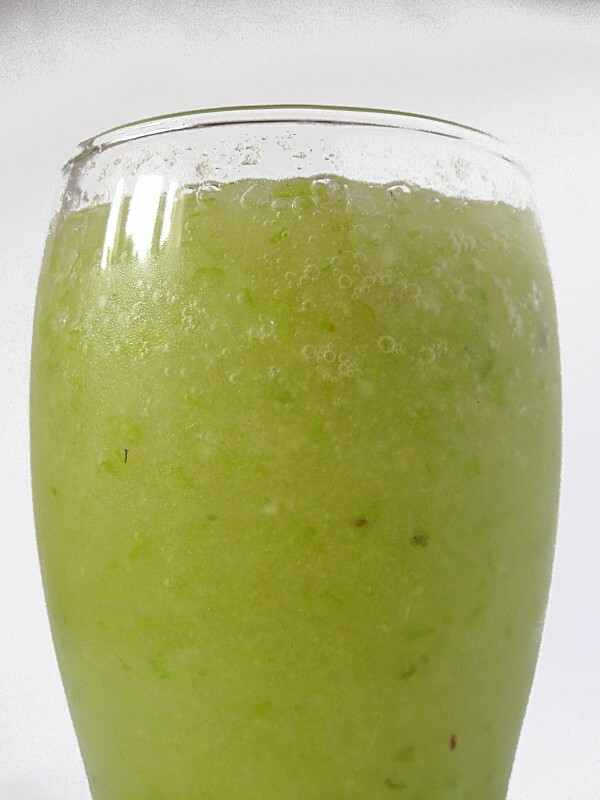 Blend in blender until smooth, pour into glass and enjoy!